At some point in their careers, every owner operator must decide whether to run OTR or stick to regional owner operator trucking jobs. This commercial decision requires weighing up the pros and cons of each option. Many drivers base this decision on their short term preferences and desire for freedom. As an owner operator truck driver you are running a business, so the right question should be, what’s best for your business? While there’s no cookie cutter approach to the matter, the best option will depend on your individual goals and needs. Regardless of the type of owner operator job, there will be a compromise between home time and income. Not to oversimplify the issue, but the more time you spend home during the month, the less money you can make. And vice-versa the more time you stay out on the road the more money you can make, but the less time you get to spend with your family. If you’ve already decided a regional or local owner operator job is what’s best for you, then the next step is to figure out how to maximize your owner operator pay. To do so it’s important to break the old paradigm mentality of what typical regional owner operator trucking jobs look like. For a long time running regional meant doing a few short runs and heading back home by the end of the week. Of course, this has a direct impact on your bottom line because of the number of loads you can haul during a week. This constraint has to do with market shifts, time limitations and the region where you live. Owner operator trucking companies around the country have different definitions of what it means to be a regional or local owner operator. 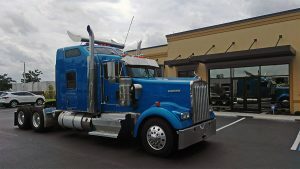 Local owner operator jobs in Atlanta might have different requirements than a regional owner operator job in Colorado. 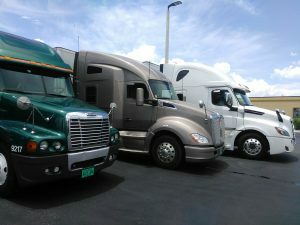 While a driver in Colorado may only have to go to the five surrounding states, an owner operator based in Georgia might have to go to the ten closest states. This sets an invisible boundary on how far an owner operator is willing to drive. What if instead of just taking loads around your closest states you took a long-haul and headed back home in time for the weekend? That way you could be driving about 3000 per week instead of the regular 2000 miles or less you do every week. Less time at shippers and receivers and a thousand mile difference per week. Running like this will definitely help to maximize your gross income. While the Atlanta area is considered one of the busiest transportation hubs in the United States, other cities and states may have a lower load to truck ratio depending on the time of the year. Owner operator jobs in GA have more load options to choose from throughout the year, but there is also more competition. A healthy balance of long hauls and driving to other states other than just your surrounding states will help to compensate for lower rates or lack of loads during the slow season. So if you are a regional or local owner operator consider testing this strategy. Talk to your dispatcher about planning a few long hauls and coordinating with him so you can both increase your owner operator pay and be home on time for the weekend. Subscribe to the Status Transportation newsletter today. You will be kept up-to-date about highest paying owner operator jobs in GA and tips on how to maximize your owner operator pay.